Newspaper bags can be recycled with plastic film, which are recycled separately from plastic container recycling. Find out how to recycle plastic bags and film. 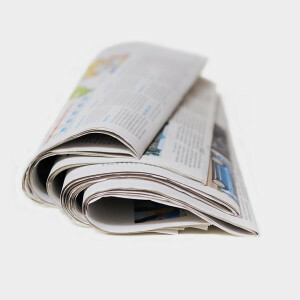 You can compost newspapers because they are made from paper that is clean and non-treated; almost all modern newspapers are printed using a plant-based ink. Consider using newspaper for packaging instead of bubble wrap. Bubble wrap and packing peanuts cannot be recycled, while newspaper is cheaper and more eco-friendly. Newspapers make up the largest portion of curbside recycling programs in weight and volume.